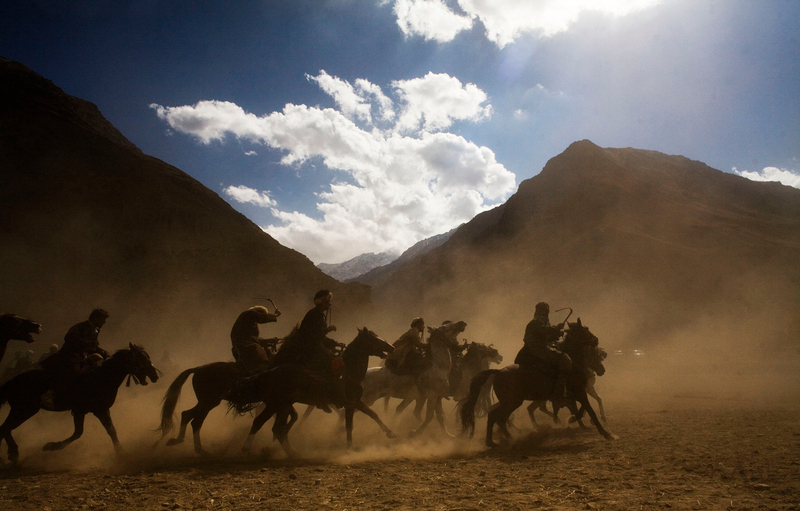 Khenj, Afghanistan: The men of Khenj, Afghanistan, compete in a game of Buzkashi. The popular game, banned under that Taliban, is a match between villagers on horseback pitted against each other to grab the carcass of a dead goat, or in this case, a dead calf, with its head cut off, from one location in the playing field, around a flag and set in a circle in another location. Each time a rider successfully completes the task he is cheered by the crowed gathered under the leaves of Fall in the shadow of the Hindu Kush.